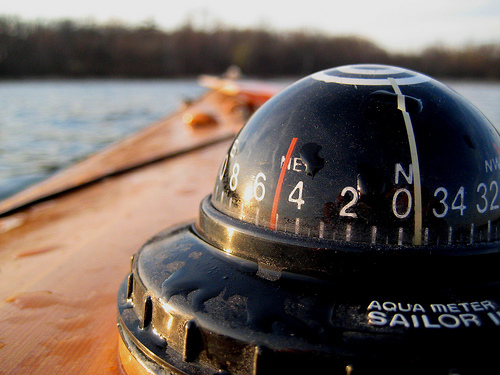 Navigation is an important tool for sea kayakers of all abilities. From recognizing landmarks, to studying tidal charts, to using a compass, any paddler who intends to leave shore should have a basic navigation tool set. If you're looking to upgrade or start from scratch, there are a variety of courses available to improve your nautical precision. David Dreves Kayaking, a tour, rental and instruction company, is offering a variety of courses both on the water and on land. 'Coffee shop' sessions offer information on marine forecasts, compass work, chart reading and trip planning. Each session is $20. The spring schedule has not been posted. Deep Cove Canoe and Kayak is offering a theoretical and practical navigation course for intermediate paddlers. The course is a full day lesson, running out of Whytecliff Park, in West Vancouver. The first half of the day is spent learning the skills, well the second half is spent putting them into practice. This course costs $120. It is being offered on June 30th and again on August 11th.